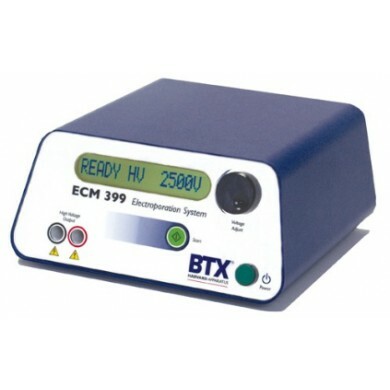 The ECM 399 is an economical electroporation system for gram negative bacteria and yeast applications. Ideal for research and academic labs.. The ECM 399 is an economical electroporation system for gram negative bacteria and yeast applications. Ideal for research and academic labs. 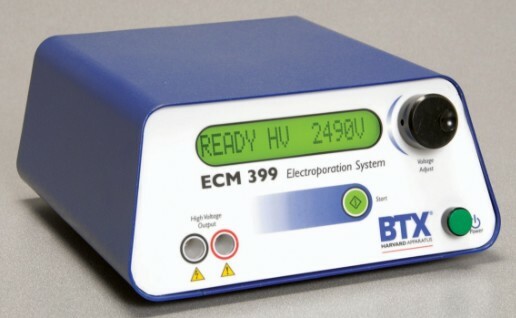 The ECM 399 is an exponential decay wave electroporaton generator specifically designed to deliver the field strengths and pulse lengths required for the simple transformation of bacteria and yeast cells. 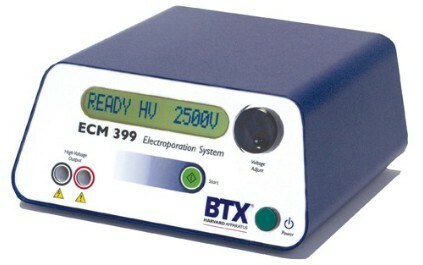 In low voltage mode the ECM 399 has a limited capability for transfecting some mammalian cell lines. The ECM 399 is ideal for basic transformation in research and academic environments. The ECM 399 is intended For Research Use Only. Not for use in diagnostic, pre-clinical, or clinical procedures.